A Family Physician helps in keeping the entire family fit. Family Physician is not a specialty. They concentrate on the health of the individual. They have a great role in preventive health care as well as effectively managing complex and chronic health conditions. A family physician takes care of patients of different age groups and conditions. Family physicians are well trained to manage diabetes, heart ailments and other such complex diseases. They also treat injuries. Canada is currently facing a shortage of family physicians. The family physicians are placed in the Canadian Priority Occupation List (POL). If you are looking forward to working and settling in Canada, this is the best time for such a decision. You can apply under the Skilled Migrant Category. We recommend you to fill up our free online assessment form. Bachelor’s degree is a must, but in provinces like Quebec you may have to complete a college programme and one year of university studies before your medicine course. You must graduate from a recognized medical school. Residency training in Family medicine is a must for at least 2-3 years. You will have to successfully qualify in the Medical Council of Canada examinations. Licensure has to be done by relevant provincial or territorial organizations. As a family physician in Canada, you can earn up to CDN$84 on every hour of your work. We hope that this article has proven informative to rightly guide your decision. 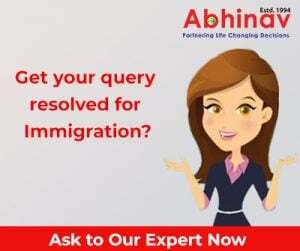 Choose Abhinav for omitting any sort of visa hassles. We look forward to having you soon with us!